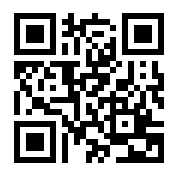 What’s in Your QR Code? QR Codes (aka Quick Response codes) are pop-art matrix barcodes that can condense information into a small rectangular graphic, that’s also a form of mobile tagging. Originating in Japan, these two dimensional barcodes require a camera and a QR Code reader to decipher the encoded information. With cameras included in most mobile phones, QR Code usage continues to expand, especially given the increased use of smartphones. When it comes to QR Codes, men will be happy because here’s one place that size doesn’t matter. Why should marketers care about QR Codes? QR Code matrix graphics transform a wide variety of real world physical media, packaging and products into information conduits with the use of a mobile phone. Gone are the space limitations of offline media and packaging. A QR Code can have up to 7089 characters of information. QR Codes enhance product support, connect to customer service and facilitate purchase. Consequently, QR Codes changes the game for integrated media. Short term, the drawback of using QR Codes is that prospects may not realize they’re looking at one since it’s still a relatively new activity. What type of marketing information can QR codes convey? QR Codes provide marketers with a variety of data options and media formats to expand content presentation. Here are fifteen marketing information alternatives. Website URL. This can be a special targeted landing page or any website resource. The goal here is to enhance the user’s experience by ensuring that the result is formatted for a mobile device in order to provide needed information on-the-go. Text. Supply users with additional text information. This can be useful for supplying content that consumers should have but you don’t have room to include. It could become the new way to condense the fine print. Telephone Number. Since most QR Code users are away from their office or home, give them the ability to talk to a human by offering them your phone number, either your 800 number or your retail establishment’s number. SMS or text message. Present users with a mobile alternative for connecting with your company. This is particularly useful when targeting teenagers. Email address. Give users your email address. Tailor the email address to the QR Code so it can tracked back to the source of the contact. Send email message. Provide prospects a way to communicate with you directly. Once the QR Code is scanned it sends a designated recipient a preformatted email. Contact details. This information appears as a virtual business card. With a means for showing people your QR Code, you can reduce the need for business cards. For example, I attached a QR Code to my badge for Social Media Week. Map. Show prospects how to find your physical location. QR Codes use Google Maps. Social Media. This encompasses a diverse array of options such as Facebook, LinkedIn, Twitter, Foursquare and others. QR Codes access these networks via the web. YouTube Video. Another form of social media that’s great for giving users useful content on-the-go. Use video in places where people need to see how to do something. A QR Code sticker in the trunk of a car can launch a video showing how to change a tire. iTunes link. Share music and/or the spoken word with your audience. This can give your brand a human voice in places that it may not have one. Event details. Make a date by placing information about the occasion in the viewer’s calendar. Paypal buy now link. Expand your ability to sell without a retail location. Don’t forget to include a call-to-action! Mobile apps. While this functionality is possible, in reality, its use is limited since only certain phones can handle the redirection. But stay tuned! Mobile functionality continues to evolve. Wifi login (Android Only). Give users an alternative way to sign on to your wifi system. With the expanding penetration of smartphones and other mobile devices, QR Code usage continues to expand and become more mainstream. From a marketing perspective, it’s important to start integrating QR Codes into your content, packaging and products to extend their usefulness to prospects and customers. Do you have other ways to use QR Codes? If so, what are they and where do you use them? Please leave a comment below. Tags mobile tagging, qr code, Quick Response Code., smartphone. Bookmark the permalink. 10 Responses to What’s in Your QR Code? I’m creating a new landing page on my site listing the main places to find me online and contact me. I’m going to create a QR code for this to put on the back of my next round of business cards. I tend to put a contact link and a link to a Delicious tag (where I’ve saved relevant sites) on the last screen of my slides for presentations, but next time I think I’ll include a QR code for that as well. Then people can either write down the address or scan it from the screen. As an end user I tend to use them most often when downloading apps to my Droid X. Many of the review sites include QR codes that take you to the app page in the Marketplace. I’ve found this to be very handy, esp. for apps that compete with others with similar names. It helps to ensure one gets to the right place. Recently I saw them in use for an online tour. My mom and I were on the media christening cruise for the Disney Dream (thx mom & Disney for letting me tag along). Disney gave each media participant an iPod Touch to use for self-guided tours of the ship. They had signs around the ship with QR codes on them. When you scanned the code it took you to a presentation about that part of the ship. I think this usage could be useful in many locales. One could put them on kiosks for city tours, on signs for museum tours, etc. I’d also like to see them in shop windows so that visitors could scan the code to come back to the store or restaurant’s Web site. While it is only a matter of time before something new supplants them, there are oodles of ways we can use these for the time being. That said, Kelly and John make a great point about their usage. We can’t just make these codes for the heck of it. If we’re going to use them we should put careful thought into the pages, places, or messages that the codes go to. As with any technology we need to think strategically and not just use it because it’s the latest tool available. I have been a proponent for QRCodes used for marketing purposes for some time. Well actually – once the adoption of the smart phone took off 🙂 We have released a solution that generates and tracks the QRCodes http:;//www.qreateandtrack.com it has been a huge success. However, with that success came the unknowing users. I soon realized the majority of folks were driving respondents to a site that was not Mobile friendly = #Fail. So we created http://www.iFlyMobi.com a simple but powerful Mobile CMS where folks can create the mobile experience first and then the QRCode from same web application. Would like your input if you have time. Good post, Heidi. The problem with QR Codes is that they are too easy to create and that they make marketers think they are ‘doing mobile’ when, in fact, they aren’t. Your QR code needs to: A) Work. Failed scans will kill the effort (check out http://www.mobilemarketingfail.com), not to mention the use of proprietary codes like those from AT&T and Microsoft and B) direct users to an experience that is optimized for mobile viewing. Sadly, too few understand that the mobile use-case is very different and that sending people to their regular web site is a bad idea. You make some excellent points about QR code “myths”. I have a question for you…. does scanning the QR code by a user constitute an “opt-in” for mobil or email contact? Thanks for your thoughts. Nice blog post! 2011 is going to be the year of the QR Code for marketers. Next time you create a QR Code, try http://www.SocialQRCode.com. It is designed for businesses to generate QR Codes and mobile landing pages for their businesses social properties. Create a landing page with a Facebook “Like” button or Twitter “Follow” button. Users can also create a mobile coupon that is sharable on Facebook and Twitter! Heidi, Chris Brogan introduced me to http://pingtags.com/ this service quickly generates a QR code for your linkedin profile. It doesn’t add to your list above have found it a handy way to leverage the LI profile. Appreciate the tips and thoughts. I saw a hilarious app for QR codes. It’s sort of a date-o-matic. The app creates a QR code for daters which includes the information they choose to share – even VERY personal preferences. The app has a reader so you just scan the other person’s code and it shows you a compatibility score. If you both match, then it can exchange the contact details you want. Personally, I think it’s too early to go around wearing a QR code, but who knows?? Great post Heidi. I was trying to explain QR codes to some friends yesterday, but your listing of uses is much more comprehensive. I have forwarded this to them.